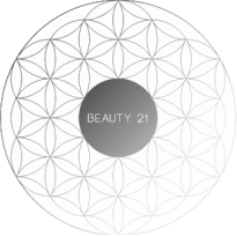 Located in the Northern Suburb of Preston, Beauty 21 has been an established business in the area since 1978. To this day our award winning day spa still practices traditional methods of Holistic Beauty Therapy, but also provide the latest trends in services that we believe to be holistic and necessary in maintaining the art of natural beauty for all individuals. Our salon has been known for beeswax hot waxing and continue to offer it as a service today. It remains to be an extremely popular service, with clients visiting from afar to experience this gentle form of waxing. Along with traditional services, we have added an extensive menu offering Skin Care, Eyelash Extensions, Spa Therapy and Cosmetic Tattooing. We have been awarded Leader Newspaper Beauty Business Achievement of the Year (2006 & 2010) for our exceptional services and professionalism with extensive knowledge in particular skincare, and are always on the lookout for new beauty treatments, techniques and devices, to ensure that your experience with us is safe, of high-quality and see you departing with satisfactory smile. ​If you are not already a client, we would love to be your resident Beauty Angels (experts) and cater to your beauty needs! Skin Coaches - who work with you closely to address your skin concerns and find solutions that offer the best end results. Eyebrow Specialist/Cosmetic Tattoo Artist - Miss Ly (our very own director) will take your eyebrows to a whole new level! Whether it is sculpting or redesigning a brow... Miss Ly's background in Dermal Science and cosmetic tattooing will make your brow dreams come true. No matter the case, Miss Ly will happily be at your service with the most safe and comfortable techniques. Spa Therapists - we are more than just a salon... we are your little retreat. In our newly renovated space, our Spa Therapists are trained to provide beautiful treatments using minerals from the Dead Sea. Beauty Angels (Therapists) - our well-rounded and talented Beauty Angels will cater to your beauty requests with careful understanding and flexibility. We endeavour to provide service that is enjoyable and exactly what you expect in every visit. While we are all unique in our own way and tend to add natural flair in your tailored treatments, our techniques are always up scratch and each therapist will strive to deliver the best possible treatment. We are committed to offering you a tranquil space where you can be calm and relax in, so come join us in our retreat of greenery, where the lovely aroma of incense floats in our candle-lit hallways.